Students just don’t listen or are distracted by others or are away too often. Here’s my post on Flipped Teaching. You might be against all this staring at screens but learning must involve digital if it is to prepare young people to be productive in the 21st Century. But digital does not allow students to practice all skills. Real-world collaboration and debate are also survival skills in a successful future. Don’t do the work for them! The students must practice balancing and selecting the appropriate tools, digital or not for a task. At the end of the day though, a good balance is the way of the world. There is some confusion over SAMR but it does make teachers reflect on the impact tech is having in their classroom. It encourages good conversations about pedagogy rather than being focused on tech for tech’s sake. My advice is allow the students to experiment and introduce you to new approaches. SAMR challenges teachers to push tech to do more for students. It also encourages tech use towards connecting and collaborating rather than just regurgitation and helps teachers to move forward with pedagogy. 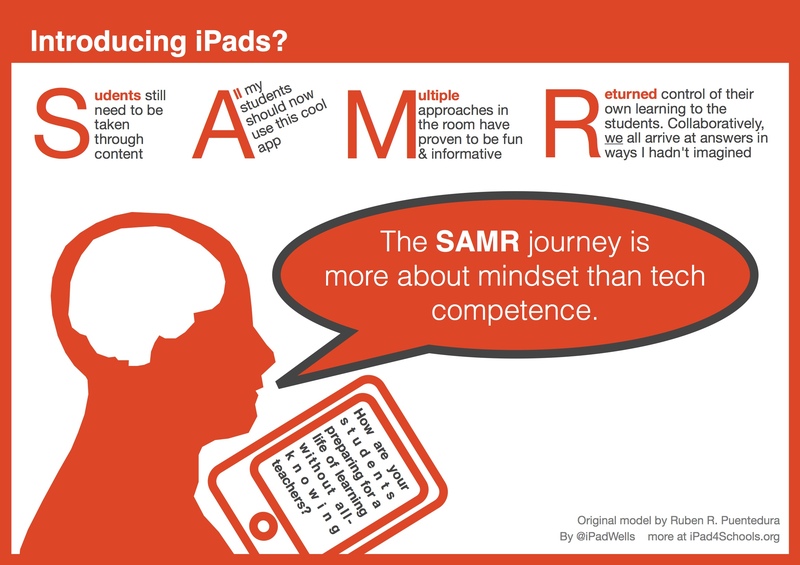 Here’s my post on SAMR. I am happy to raise my hand and admit my guilt about not planning well enough to consider individuals in my class who have specific extra learning challenges and obstacles. Anything from a sever disability to simple a lack of social confidence. Too many teachers plan whole units and lessons just for the “average” student Universal Design for learning asks you to start your planning with those with the greatest needs on the basis the others will cope. ensure your room has multiple options for accessing the learning and that you become aware of the extra aides available inside various technologies you have. 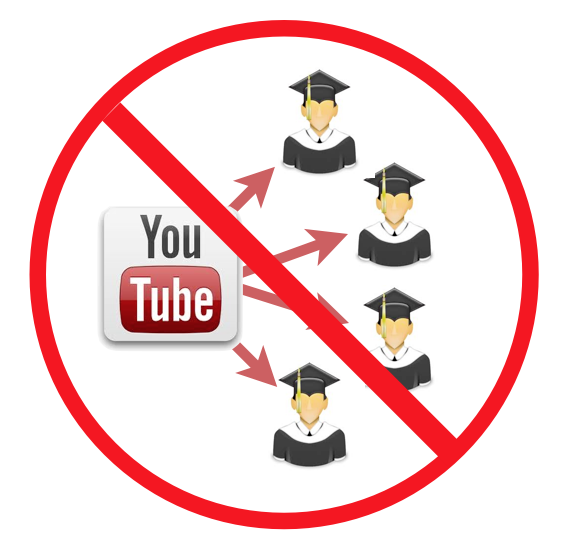 Offer the required variety of media so all can access the learning. Here’s more info on UDL. The world operates in teams whilst most students don’t. Project-based learning prepares students more for productive social interaction and team skills. An emphasis for presenting to external clients or experts adds a real edge and accountability to learning. PBL improves the scope for genuine community connections and authentic learning. It can also add a much needed purpose to schooling, often missing in the normal abstract content teacher delivery. 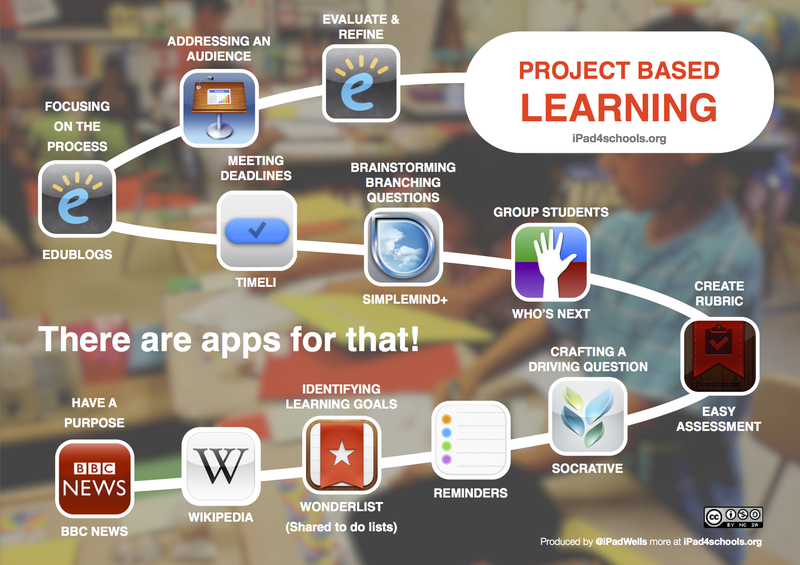 Here’s my post on PBL. The internet and improved access through BYOD means that learning that encourages wider connections Inspires young people to make a real contribution to the world. They are not learning to be citizens, they are citizens NOW! Offers new perspectives & live learning, not available in an isolated classroom. Encourages peer-to-peer support & independence, creating more definite life-long learners. Oh, and Skype Classroom is free ! 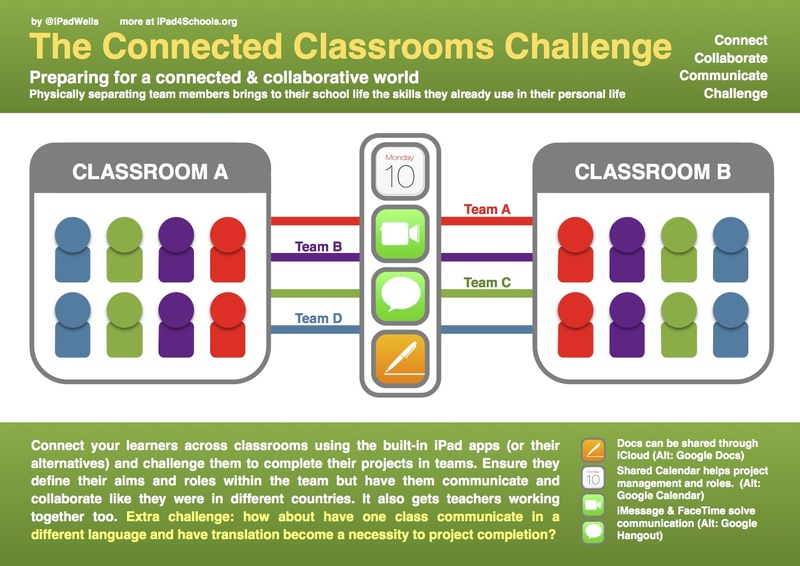 Here’s my post on a connected classroom structure for the students to practice with. 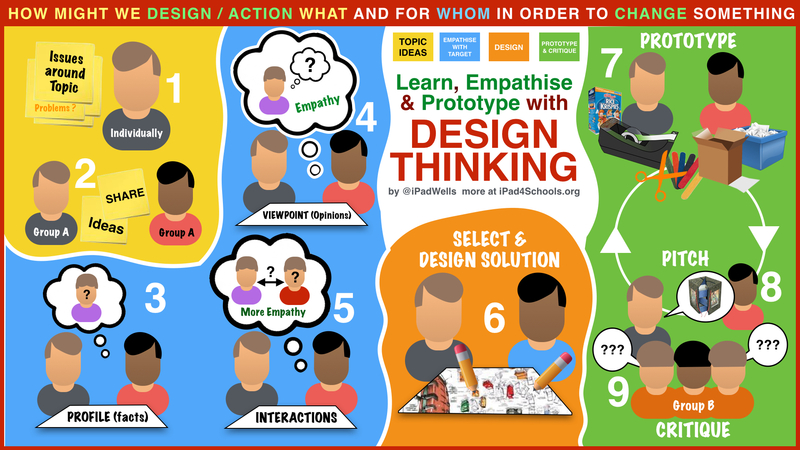 a Focus on thinking, empathy and prototyping ideas immediately. it also encourages input from all, on the basis that any suggestion might form part of the solution. Here’s my post on Design Thinking. In New Zealand, our national high school assessment is based around SOLO. We grade our students on their depth of thinking more that their ability to regurgitate the ‘right’ answer. Solo helps student consider their depth of understanding on any topic. It has a focus on the relationships between topics and themes to enhance learning rather than just the isolated topics themselves. Solo aims for students to show understandings by moving content into other contexts or from other perspectives. I do hope this has helped some busy teachers, who haven’t had the time to look into these models. I also hope it might have some teachers reconsider elements in their teaching that require a little more attention. Next Who needs teachers when you have students?